It is with deep disappointment that we acknowledge the news of INEC’s postponement of today’s Presidential and National Assembly Elections and next Saturday’s Governorship and State Assembly Elections to next Saturday 23rd February and Saturday 9th March, 2019, respectively. Indeed, it is an unfortunate development: we do not welcome the postponement of an election that has been planned for approximately 4 years, hours to the commencement of voting. Due to this unfortunate disappointment, the lives and businesses of hardworking Nigerians have been disrupted. 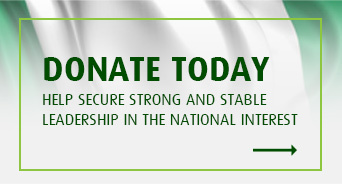 As a Nation, we have incurred losses and costs, which would have been entirely avoidable. We noted similar postponements in 2011 and 2015, and had hoped for better planning and implementation for future elections. Sadly, this is not the case. 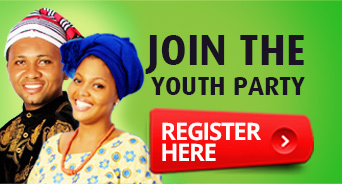 We enjoin our fellow Nigerians to be prepared to vote for Youth Party candidates on the new dates. We cannot afford disillusion and apathy. We must perform our civic duty. Delay is not denial, and with our commitment and togetherness, we will Shape The Future of our dear Country.